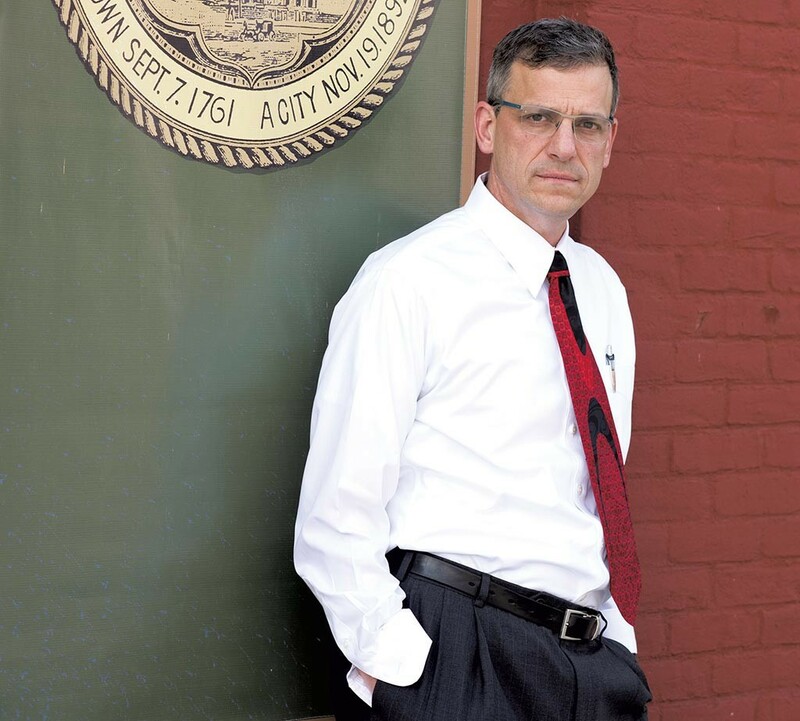 Rutland Mayor Chris Louras has risked his political career on a controversial proposal to welcome 100 Syrian refugees to his long-struggling city, and spent most of the past year beating back fierce opposition and nativist rhetoric from his critics. Despite president-elect Donald Trump's victory after a campaign in which he vowed to bar Muslim immigrants from entering America, Louras said he and his allies are proceeding apace. Louras is coordinating with the Vermont Refugee Resettlement Program and a local volunteer group, Rutland Welcomes, to prepare for the initial wave of refugees from war-torn Syria. They are expected to arrive in mid-December or January. The bulk of the refugees are expected in the spring and summer, Louras said. "All of us are continuing as if there's been no change," Louras, a Republican-turned-independent, said. "We've got no indications that the New Americans will not be arriving. We're absolutely cognizant of the fact that things could change, but it's not impacting things [now]." VRRP is hiring local staff and scouring Rutland for office space, Louras said. The State Department approved Rutland as a refugee relocation site in late September. "From my perspective, that's a repudiation of his own position on refugee resettlement," Louras said. Louras said he has not seen an increase in complaints or opposition to refugee resettlement in Rutland since Trump's win. Refugee opponents in the group Rutland First have questioned the secretive nature with which Louras and refugee officials created the plan, which was announced without the approval of the city's Board of Aldermen. They say they are skeptical that Rutland, which has grappled with population loss and economic decline for decades, will be able to provide services and jobs the refugees need. Louras said that welcoming refugees is a moral imperative that will help reverse the city's economic struggles and population stagnation. The mayor said he has been surprised by how long the intense debate over his refugee plan has lasted. He expected initial opposition, but thought it would quiet down several months ago. Louras blamed Trump for fanning the flames. "The constant and unabated nature of the rhetoric around refugee resettlement, I think, is a direct result of the language our president-elect, Donald J., was using in the summer. It gave people the license to continue with that dialogue," Louras said. "Rutland was a microcosm for the conversation and dialogue happening at the national level."